The elite funds run by legendary investors such as David Tepper and Dan Loeb make hundreds of millions of dollars for themselves and their investors by spending enormous resources doing research on small cap stocks that big investment banks don’t follow. Because of their pay structures, they have strong incentives to do the research necessary to beat the market. That’s why we pay close attention to what they think in small cap stocks. In this article, we take a closer look at Continental Resources, Inc. (NYSE:CLR) from the perspective of those elite funds. Continental Resources, Inc. (NYSE:CLR) was in 36 hedge funds’ portfolios at the end of December. CLR investors should pay attention to an increase in hedge fund interest recently. 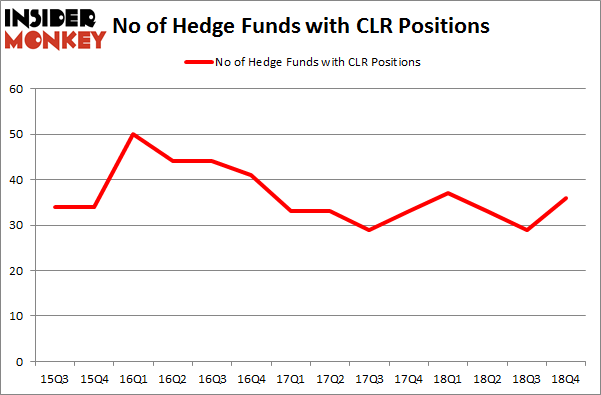 There were 29 hedge funds in our database with CLR positions at the end of the previous quarter. Our calculations also showed that CLR isn’t among the 30 most popular stocks among hedge funds. We’re going to analyze the fresh hedge fund action surrounding Continental Resources, Inc. (NYSE:CLR). How are hedge funds trading Continental Resources, Inc. (NYSE:CLR)? At Q4’s end, a total of 36 of the hedge funds tracked by Insider Monkey were long this stock, a change of 24% from one quarter earlier. On the other hand, there were a total of 37 hedge funds with a bullish position in CLR a year ago. With hedge funds’ positions undergoing their usual ebb and flow, there exists an “upper tier” of key hedge fund managers who were boosting their holdings meaningfully (or already accumulated large positions). More specifically, Point72 Asset Management was the largest shareholder of Continental Resources, Inc. (NYSE:CLR), with a stake worth $115 million reported as of the end of September. Trailing Point72 Asset Management was D E Shaw, which amassed a stake valued at $61.4 million. Two Sigma Advisors, Deep Basin Capital, and Citadel Investment Group were also very fond of the stock, giving the stock large weights in their portfolios. As industrywide interest jumped, key hedge funds were breaking ground themselves. Deep Basin Capital, managed by Matt Smith, assembled the biggest position in Continental Resources, Inc. (NYSE:CLR). Deep Basin Capital had $37.4 million invested in the company at the end of the quarter. Todd J. Kantor’s Encompass Capital Advisors also made a $28.6 million investment in the stock during the quarter. The following funds were also among the new CLR investors: Clint Carlson’s Carlson Capital, Israel Englander’s Millennium Management, and Vince Maddi and Shawn Brennan’s SIR Capital Management. 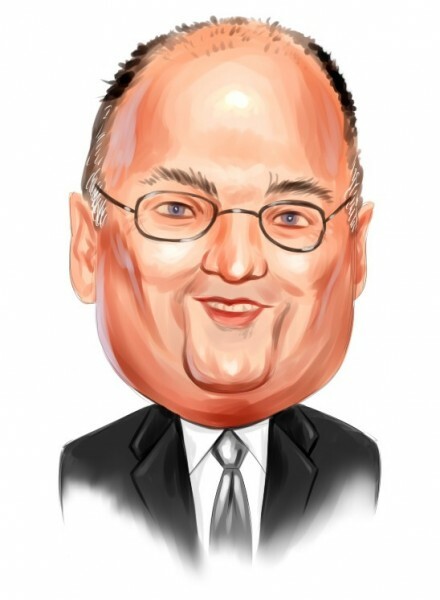 Let’s now review hedge fund activity in other stocks – not necessarily in the same industry as Continental Resources, Inc. (NYSE:CLR) but similarly valued. These stocks are NetApp Inc. (NASDAQ:NTAP), Pembina Pipeline Corp (NYSE:PBA), Fastenal Company (NASDAQ:FAST), and Evergy, Inc. (NYSE:EVRG). All of these stocks’ market caps match CLR’s market cap. As you can see these stocks had an average of 21.25 hedge funds with bullish positions and the average amount invested in these stocks was $779 million. That figure was $445 million in CLR’s case. Fastenal Company (NASDAQ:FAST) is the most popular stock in this table. On the other hand Pembina Pipeline Corp (NYSE:PBA) is the least popular one with only 14 bullish hedge fund positions. Compared to these stocks Continental Resources, Inc. (NYSE:CLR) is more popular among hedge funds. Considering that hedge funds are fond of this stock in relation to its market cap peers, it may be a good idea to analyze it in detail and potentially include it in your portfolio. Our calculations showed that top 15 most popular stocks among hedge funds returned 19.7% through March 15th and outperformed the S&P 500 ETF (SPY) by 6.6 percentage points. Unfortunately CLR wasn’t in this group. Hedge funds that bet on CLR were disappointed as the stock returned 4.6% and underperformed the market. If you are interested in investing in large cap stocks, you should check out the top 15 hedge fund stocks as 13 of these outperformed the market.